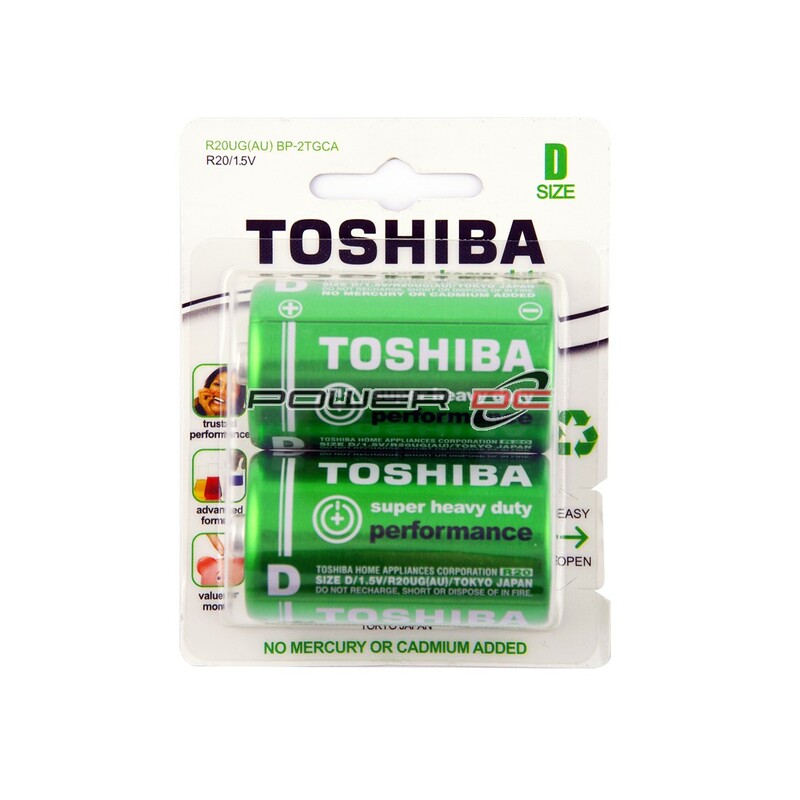 * Toshiba SUPER HEAVY DUTY batteries deliver above average performance in general purpose applications. * New manufacturing technology has made it possible to increase boost in the reaction rate. * Ideal for equipment requiring high current flow and equally suited in electronic applications requiring small current pulses use. * New advances in manufacturing technology realized the use of new special sealing construction and highly airtight sealant resulting in further improving of shelf life. * No mercury or cadmium is added.